A solutions journalism grant is enabling journalists to report on solutions to sexual offences outside of their communities. The Solutions Journalism Network (SJN) opened up a grant initiative back in October 2018, dubbed the ‘#MeToo #SolutionsToo Fund’. In line with the viral #MeToo movement, the grant aims to help journalists tell solutions-driven stories with ‘actionable responses’ which ‘exposes wrongdoing, holds individuals accountable and gives voice to those who have long suffered from sexual harassment and/or assault’. 13 recipients were announced in December 2018 and one of those was freelance journalist, photographer and academic Vera Chang. She received $1,500 to pursue a follow-up to her piece written last year on the prevalence and impunity of rapists on US farms. In a solutions-journalism style, Chang challenges this issue by looking at a human rights programme which is working to reduce the number of incidents on farms. "I remain interested in #MeToo human rights initiatives from the perspectives of low-wage women workers," said Chang on her forthcoming piece. "Tarana Burke, the initiator of #MeToo, describes its purpose as countering the pervasiveness of sexual violence, particularly of that directed at women of racial, cultural, and socio-economic minorities. My story has the same intention." Chang is using the solutions journalism 101 webinar and online toolkits throughout her investigation, noting that her story is a perfect fit for the style, as it works to drive critical awareness about effective responses. 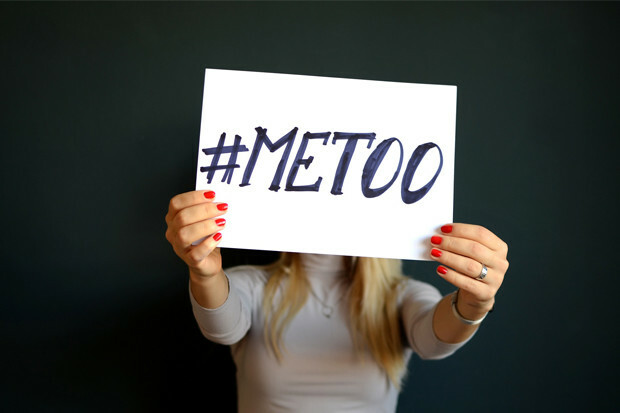 "The collection of SJN #MeToo stories has the potential to disrupt dominant narratives on sexual violence reported in the news cycle. Our stories will also fill crucial gaps in #MeToo media as we explain how sexual abuse and harassment have been reduced and prevented in particular contexts," she added. The grant provides vital funding for travel that her publication, independent news outlet Civil Eats, would not otherwise be able to reimburse. It echoes similar words by fellow recipient and freelance journalist Elaine Murphy. Murphy received £1,350 towards her project ‘How Boys in India are Championing Gender Equality’, poised for publication at the end of February, as she is still in the pitching phase to organisations. Thrilled to be a #MeToo #SolutionsToo fellow, and so grateful to @soljourno for the opportunity! I'm using the grant to travel & report on one of my dream stories: how men are championing gender equality in #Pune #India. Story coming in February! Murphy needed to jet off to India to interview boys in their community who have limited access to Wi-Fi. This also allowed her to highlight a potential solution to a common narrative within the #MeToo movement. Like Chang, Murphy said that while it would have been possible to do some interviews via Skype or phone, there is nothing quite like being on the ground. "For women to be equal and safe, men's participation is essential. But where men fit in to the campaign for gender equality isn't always clear. The rise of the #MeToo movement has sparked a conversation about what men can do to further gender equality. As a society, we are just beginning to have such conversations," she said. "Americans and Westerners tend to believe that once women are empowered, men will be forced to change their attitudes because women and society will demand it. But I hope this story will show that men can voluntarily change their attitudes towards women and gender, even in places where women are not yet equal, thus helping to ease the burden placed on women to achieve gender equality by themselves." In true spirit of the solutions journalism purpose, freelance journalist Alexandra Christy, questions 'what next?' for the #MeToo Movement. Christy received $1,500 to fund her investigation 'Freeing Public Transportation from Sexual Harassment: The Papua New Guinea Story', to interview policy-makers and educators about addressing the abundance of sexual offences happening on buses in the country. "While it is breathtakingly encouraging and inspiring to see the numbers of women who have come forward with #MeToo stories, one inevitably has to ask, 'Okay, so now what?' 'How do we go forward?' Somewhat lost in all the stories has been the fact that part of what #MeToo is about is healing," she explains. "It is my own calculus that one can heal when one sees from all corners of the globe women taking back their lives. "I love the idea of a piece where the solution, in this case the women-only buses, is the story," she said. "While I will be interviewing and featuring the women who ride the buses, they are not the story. The story is the solution, the buses: the why and how of the buses." In addition to covering extensive travel, the money will also go towards staying in safe hotels and security. However, Christy is seeking to raise more money to turn her piece into a more multimedia experience, and so will require further funding for permits to film, production and post-production costs. The Solutions Journalism Network #MeToo #SolutionsToo grant was funded by the NoVo Foundation, Woodcock Foundation and crowdfunded donations.